Every time a caller waits “on hold” you have an opportunity to make a positive impression. What impression are you projecting? Are you frustrating callers with “silence on hold”? Are you advertising for other companies playing a “radio on hold”? There is a better alternative with Executive Voice. Our goal is to effectively create professional messages with entertaining background music, designed to educate and inform on hold listeners creating a positive experience that generates the desired result. 70% of All Calls Are Placed On Hold! Consumers Hold Over 200 Hours a Year! With Silence, 60% of Callers Hang Up! 30% of those callers will not call back! Increase Caller Retention by 40%! Increase Product Inquiries by 15%! Why settle for a simple radio that single may fade or worse yet NO music or message at all. With the On-Hold Plus system below you get custom music and announcements, personalized for your business. played by a digital system for studio quality sound all the time. Call us with your requirements at 845-279-7622 or 203-797-9698. You can also fill out a Service Request form and we will contact you. Quite simply put — it’s the best on-hold audio player…EVER! 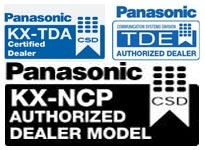 Awarded the Best of Show Honors at the 2001 Consumer Electronics show in Las Vegas. The VA5000 is the easiest to use, simplest to understand, most complete on-hold audio system ever made. Period. The first of its kind. VA5000, a revolutionary new digital announcer that allows users to download new content to the unit’s flash memory via an integrated audio CD mechanism. The VA5000 is the first digital announcer to incorporate a CD mechanism into a digital announcer product. Custom On-Hold Digital Announcement FREE! With any VA5000, have your first custom on-hold announcement professionally produced absolutely FREE! Trigger switch – unit can be triggered to start program content from the beginning with an external trigger switch. CustomWorks CD-ROM – simple-to-use on-hold audio scriptwriting software allows users to create professional-sounding custom on-hold audio scripts in minutes. Copyright © 2019 Voice America Telecom. All Rights Reserved.